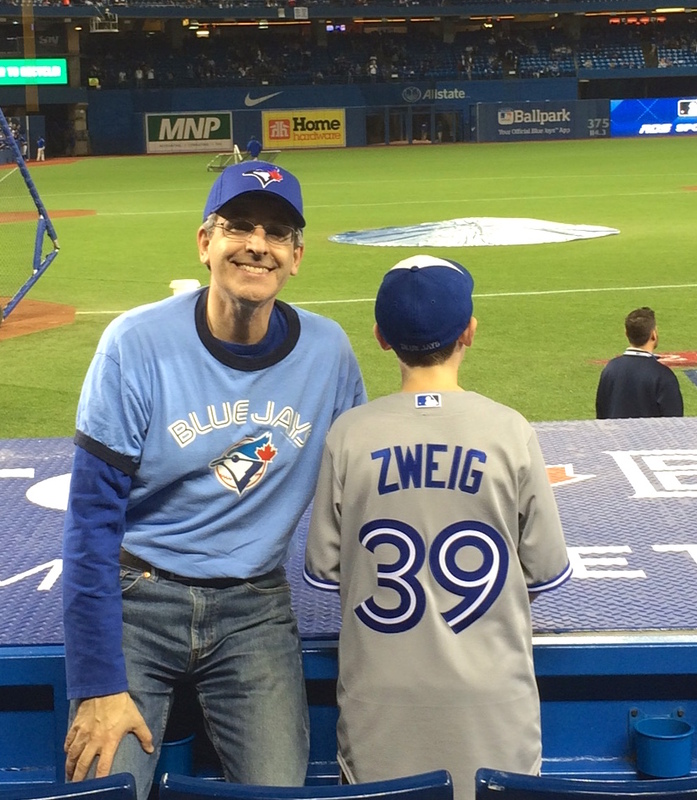 The Blue Jays gave me an early birthday present with a big victory last night! Hoping for a similar present on my actual birthday today. My nephew Jorey and me before the game last night. 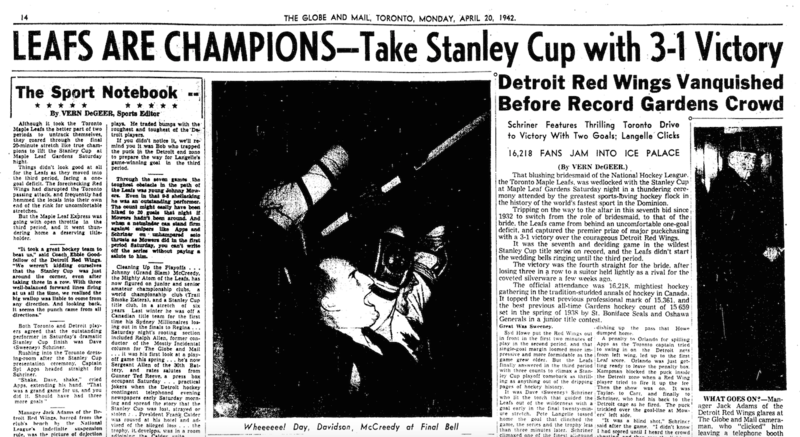 I was more than a little worried that they’d be facing the same challenge as the 1942 Toronto Maple Leafs, who were the first team in history to rebound from a three-games-to-nothing deficit in a best-of-seven series when they rallied to beat the Detroit Red Wings for the Stanley Cup. 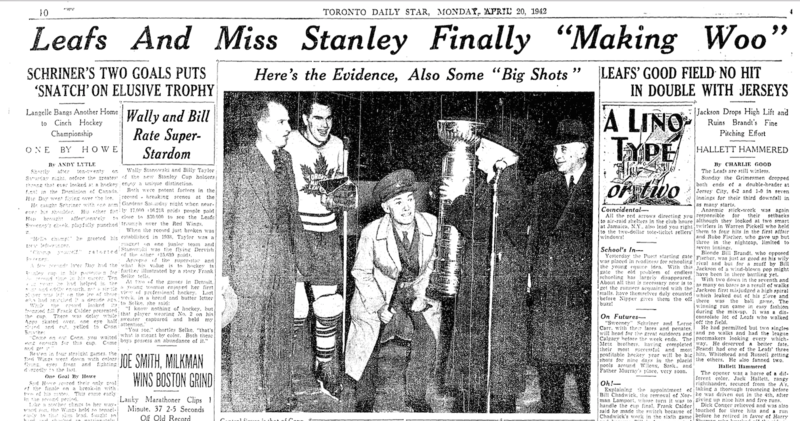 Toronto media seemed pleased by that victory, but few seemed to note its historic significance. 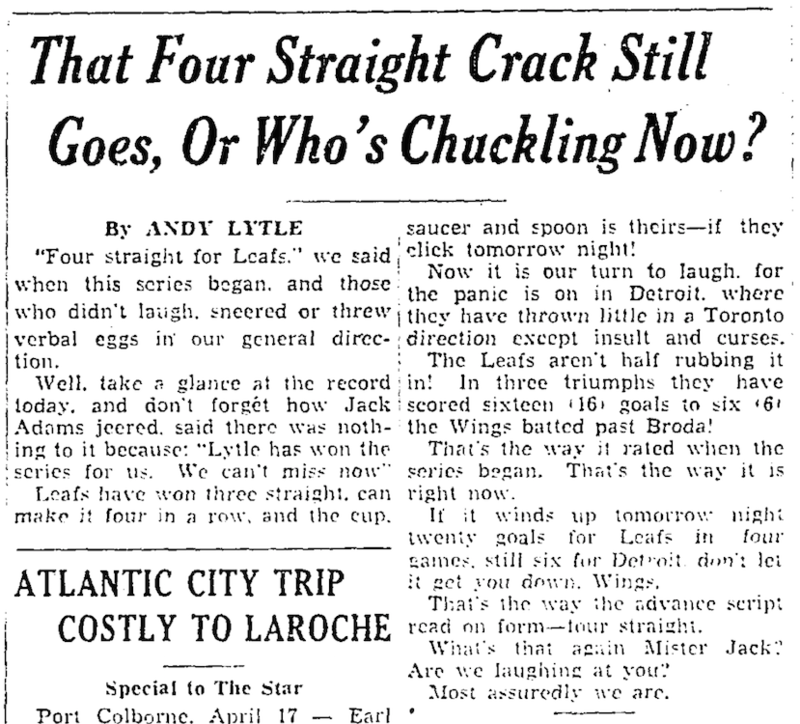 Perhaps that was because the Stanley Cup Final had only expanded to a best-of-seven in 1939. Then again, the World Series had been a best-of-seven (and sometimes a best of nine!) 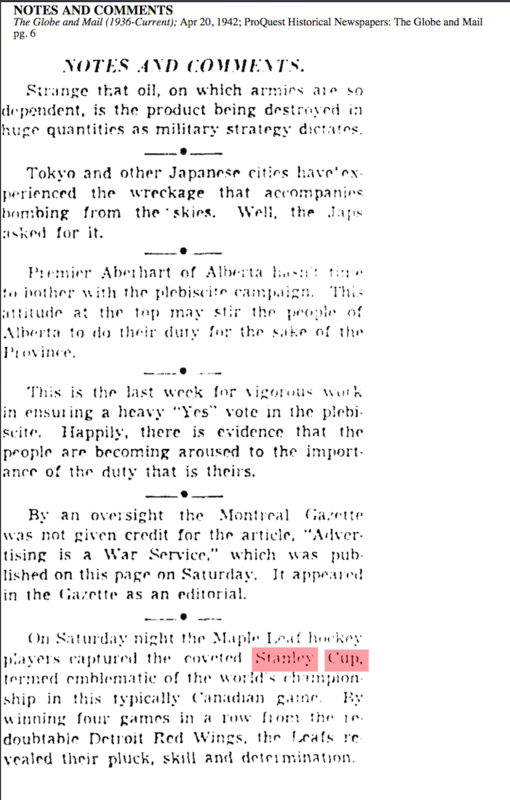 since the beginning in 1903, and nobody had pulled of this type of comeback there … and wouldn’t until the Boston Red Sox rallied to beat the Yankees in the 2004 American League Championship series. Happy Birthday Eric. I, too, hope that you will be able to celebrate it with another Blue Jays win. Happy Birthday, Eric..Your book has been distributed to Art Ross fans here, and I’ve directed a few to the bookstore or Amazon. We are watching the games on the West Coast and cheering like mad. Go, Jays!! Great photo…nice stuff and don’t give up, we …errr…THEY won three against Texas! Happy win! Happy Birthday Eric!!! Great stuff as always — thanks!